This message of tolerance and inclusion is welcome, but it is a paragraph late in the report that exposes the root of our problem. 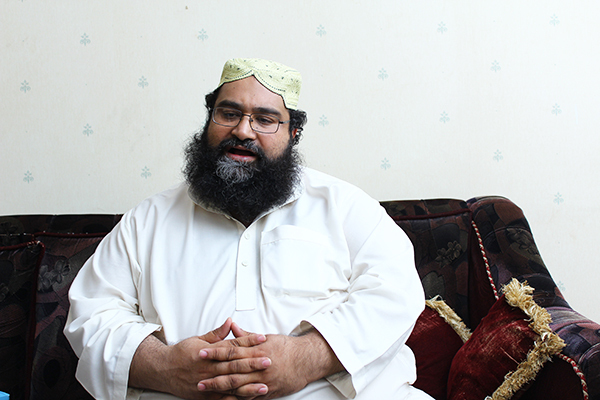 In his speech Allama Tahir Ashrafi said madrassas were guarantors of peace in the country. Maulana Muhammad Ali Sherazi said an education system given by Christians was a conspiracy against Islam, which had become a victim of the west. “True education is spread through religious seminaries, which are the fort of Islam,” he added. Is there any better representation of what ails us? In one moment, Ulema calls on government to protect minorities. In the next moment, they accuse non-Muslims of using education as part of a ‘conspiracy against Islam’. Which is it? Are We are told note to be suspicious and hateful, and then we are given reason to be suspicious and hateful. If government has a responsibility to protect minorities, doesn’t that responsibility include doing something about the lessons in intolerance being taught at certain madrassas? Ridding ourselves of the curse of religious extremism, the root cause of terrorism in our country, will require us to move beyond mere words of tolerance. We must shed our victim mentality and stop pretending that the threat is coming from outside and not inside our own house. This entry was posted in Blogs and tagged madrassah reform, Maulana Muhammad Ali Sherazi, Minority Rights, Pakistan Ulema Council, religious tolerance, Tahir Ashrafi by Sidra Jafri. Bookmark the permalink.